You are normally required to take six 6-credit courses, one from each AoI and not more than two from any AoI. However, the number of courses required and the year and semester in which they are taken vary from programme to programme. The majority of Common Core courses are taught on Wednesday afternoon, with a smaller number of them on Saturday morning. 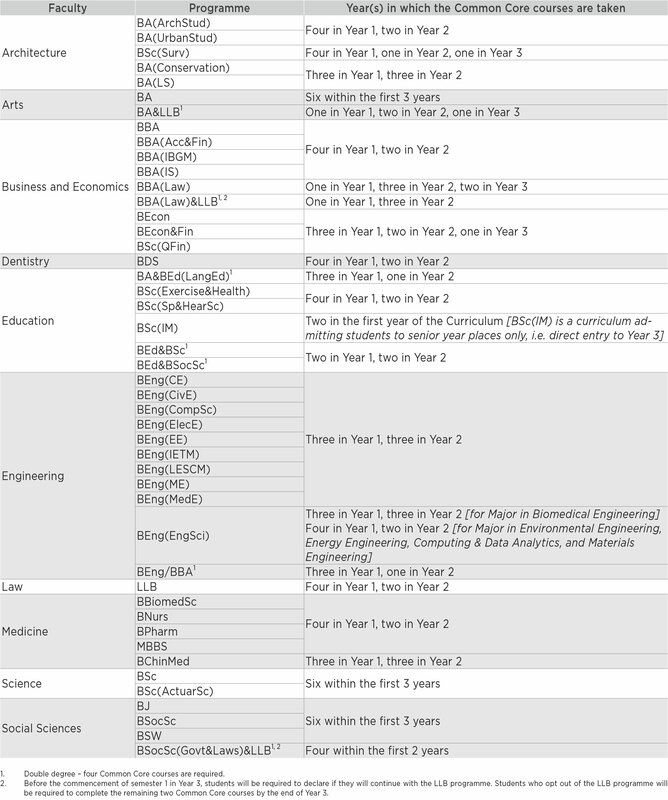 Please note that whatever the requirements for your programme you are not allowed to take more than one course from any AoI in an academic year (except for students admitted in 2014-15 and thereafter who are required to make up for failed credits).